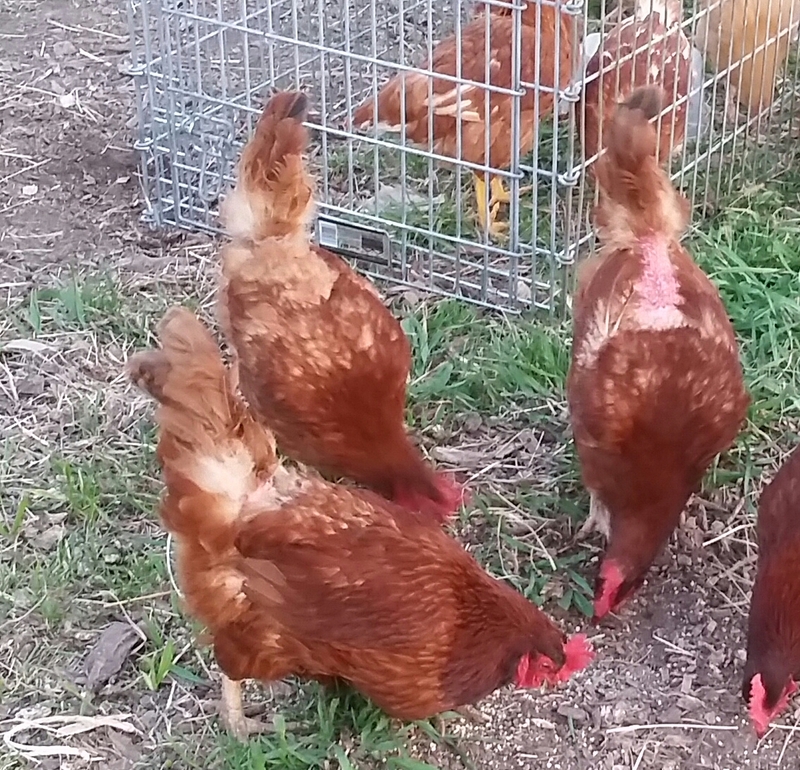 Most of the hens have feathers missing on their backs. At first we thought the signs were consistent with moulting. Then we saw the puncture wounds and scabs…and we knew. 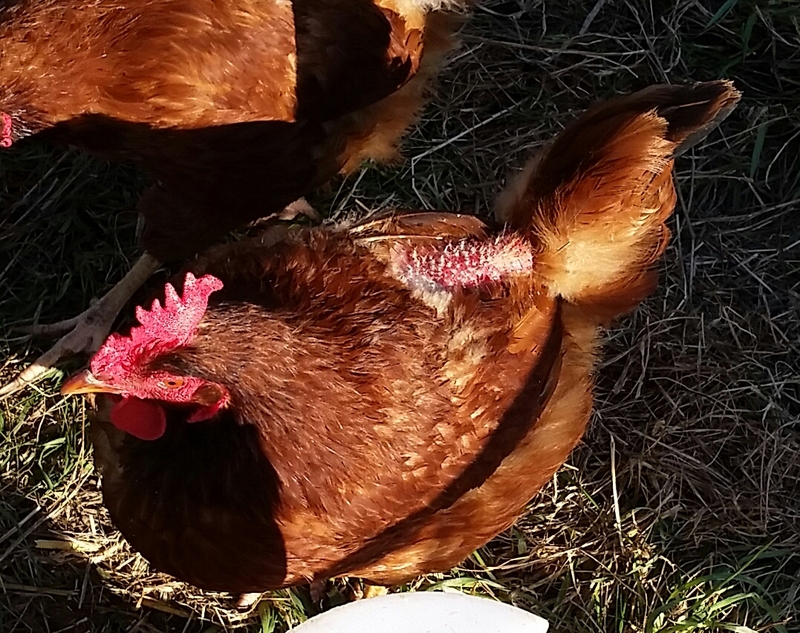 Two old gals have horrid scabs on their backs, red and angry looking. Three unlucky ladies look disheveled most of the time…feathers missing and fear in their eyes. Her feathers are red and glossy…not one out of place. The one who pecks at hands. 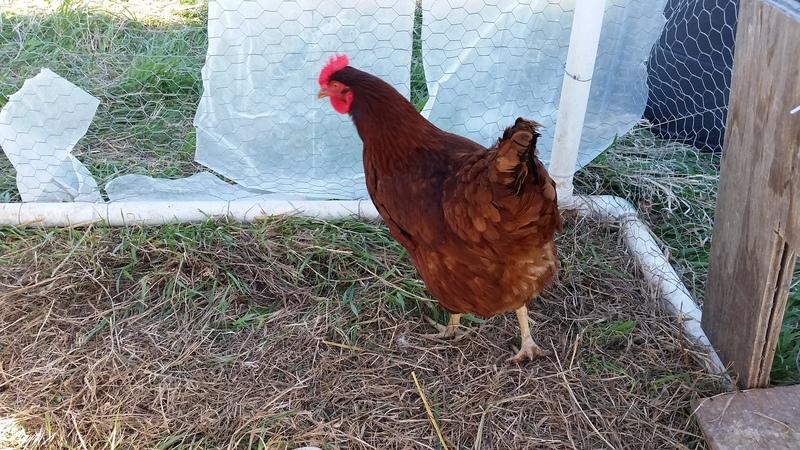 The one who struts around looking down her beak at the other frightened hens. There’s a pecking order, and she’s at the top. My guess is the Ruffled Feather Trio are somewhere in the middle and the Scabby Gal Duo are on the bottom, subject to all manner of harsh hazing. Enter the Nine Blondes. I’m curious to see what will happen when the new girls find their courage. When they stop huddling together in terror. Will the Scabby Gal Duo enlist their help? Will the two groups join forces with the Ruffled Feather Trio to take The Bully down? Will they succeed in upsetting the pecking order? Will they come out on top? 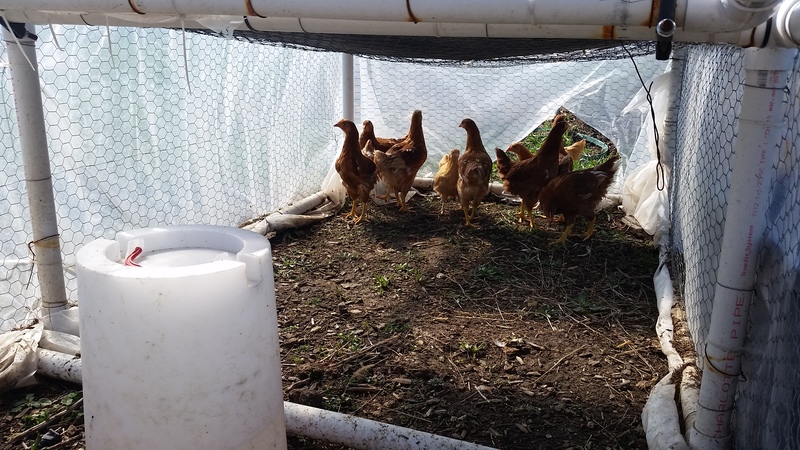 This entry was posted in A to Z Blog Challenge, Chickens!, Life, The Chicken Wars, Writing. Bookmark the permalink. Ha, you have a stand in rooster, and not a nice one. We had such a rooster once. I urge you to quickly make stock of the bully. It restored peace and feathers to our girls, and I wished we’d done it sooner.